Printer with CISS is working great! Thanks people! CISS - continuous ink supply system - a system for inkjet printers, multifunction devices and plotters that makes printing with each new copy of the cheaper! CISS as technology was created several years ago and now it is used by tens of millions users all around the world. The "INKSYSTEM" CISS printing quality differs only 2-5% from the original cartridges quality. At the same time you get 1000% of economy! In our products range there are CISS for most of the ink-jet printer models that were produced for the last 10 years. “INKSYSTEM” Company welcomes you on our web-site. Company operates in over 9 countries with more than 250 regional dealers. Here you can learn more and order CISS (Continuous ink supply system), inkjet printers, all in one devices or plotters with pre-installed CISS, refilable cartridges, ink, photo paper, and accessories for Epson, Canon, HP, Brother, Roland. INKSYSTEM e-store www.inksystem.com offers you wide range of compatible consumables including CISS and ink. Here you will find different CISS models, from CISS Epson to CISS Brother, and ink INKSYSEM, refilled cartridges and photo paper INKSYSTEM. Also there are CISS Canon and CISS HP at INKSYSTEM e-store. The best IKSYSTEM products are only at our e-store. INKSYSTEM company provides guarantee term of 24 months for all the products range. Continuous Ink Supply System is a unit due to which you could minimize your printing expenses by using an inkjet printer, plotter or a multifunctional device.CISS gives a "second wind" to inkjet printers and every day it conquers new users. Would you like to know what is CISS? 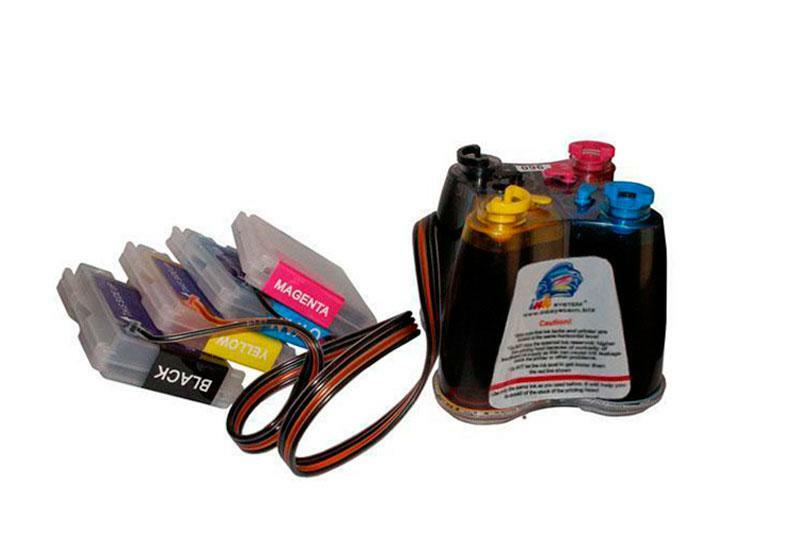 CIS system (CISS) consists of interconnected vessels, which are supply ink to the cartridges. 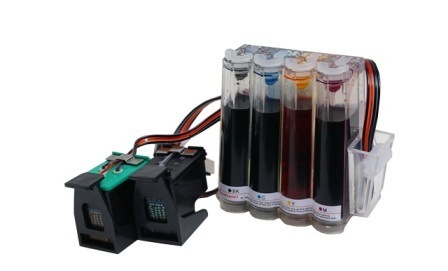 The process of ink supply is ongoing, because of the vacuum in the cartridge chamber. From the donor vessels the ink is supplied via a multichannel silicone tube. CISS does not change any configurations of the printer and perfectly fits into its design. Continuous ink supply system let you reduce the consumables usage greatly and low printing expenses up to 30-40 times. If you buy CISS it will be repaid in a relatively short time. Its purchasing is a right choice for solving your printing tasks both in office and at home. Due to Continuous Ink Supply System you could print volumes of documents without any interruptions for changing the cartridge, you will not have to stop the process. CISS keeps the print-head save from damage. It eliminates air in process of cartridges changing. Continuous ink supply system will meet your expectations if you print a lot, besides it is efficient and economical! The continuous ink supply systems appeared in 1993-94. For the first time this device was applied on the NovaJet plotter manufactured by the EnCad company. That times the first system functioned due to the same technology that is used in modern ink supply systems. The reservoirs with ink of 500 ml capacity were linked with the jet heads via pipes. Nowadays the uncomfortable tubes are substituted by practical trails. At the beginning, only third companies offered CISS, but later EnCad company produced a device with its own design. They attached CISS to plotters outside. It was pretty bulky, but in 1996 EnCad offered a new NovaJet Pro line of plotters (with 914 and 1270 mm width), which had an integrated continuous ink system. It started the production of CISS, and since then this system had been conquering the market and gaining new users. One year on, EnCad offered two lines of plotters + CISS: NovaJetPROe (1020 and 1520 mm width) and NovaCut (610 and 1370 mm). In 1997, such famous companies as CalComp and American Hewlett Packard Company also announced their plans concerning production printers with built-in CISS. And only in 2003, CISS was first modernized to an inkjet printer. The continuous ink flow systems development was going on every day and by 2005 there were about 50 kinds of Continuous Ink Supply System for all inkjet printers, such as Epson or Canon and others. They had different number of parameters, such as colors, appearance, kinds and forms of cartridges. 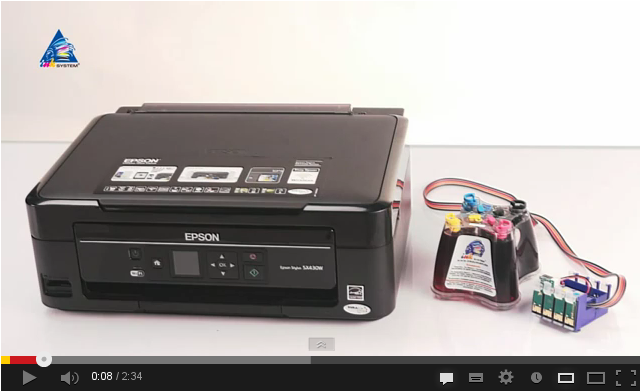 On the 21st of April 2011, the first inkjet printer was introduced by Epson L100, it was provided with standard CISS. Today all the company try to make their continuous ink systems more reliable and handy, with simple installation and operation, and more economical. CISS is very simple in functioning and has a comfortable structure. The ink is supplied from storage reservoirs into the cartridge via a silicone tube. Their number depends on the cartridges quantity, and ink supplies with accordance to colors. This structure allows you to save on consumables greatly. set of automatic chips (it depends on the type of the printer). At first Continuous Ink Supply System had 200ml bottles, which were supplied with a tube and an air filter. They were fitted to the bottom and served as ink tanks. This construction was not able to provide a steady ink outflow and these tanks were substituted by the vessels, that have a vascular Mariotte principle of functioning. Regardless of the liquid level in the system, Mariotte vessel is able to keep a steady rate of ink outflow from the reservoirs. It provides a regular ink flow under the constant pressure. It doesn't depend on the quantity of ink in the donor. The donor capacities as well as the bulk ink systems are varied from 100 to 500 ml. The fact that Continuous ink supply system could use not only original consumables means that you will make savings on printing. The operation of the loop. Tanks are linked to the printing unit via a multichannel loop. Through this loop ink is transferred to the system. The ink loop has to be solid, flexible and endurant. Such loops are usually made of silicone and look like 4 to 8 bonded tubes. In some cases, the air bubbles appear because of the irregular filling of CISS with ink or bad hermiticity. In small amounts they don't influence the printing quality and are usually easily removed, the ink just has to be returned back to donors for thoroughly refilling. What to use, Capsules or cartridges? Between the print-head and loop there is an ink tank (damping capsules or cartridges), which maintains liquid column pressure. That is why there are such names - cartridge CISS ink system and capsule CISS ink system. Now we have a lot of systems modifications, which are handy in usage and installation. Due to Ink flow systems chip the processor printer gets information about the availability and status of the ink. If the system runs out of ink it will block cartridge and the operation of the whole device and than it automatically will reset the data meter. This is a main operation principle of Continuous Ink Supply System. It is a rather simple system, easy coordinated, stable, reliable, with no extra frills. You could see its merits concerning quality and cost effectiveness. 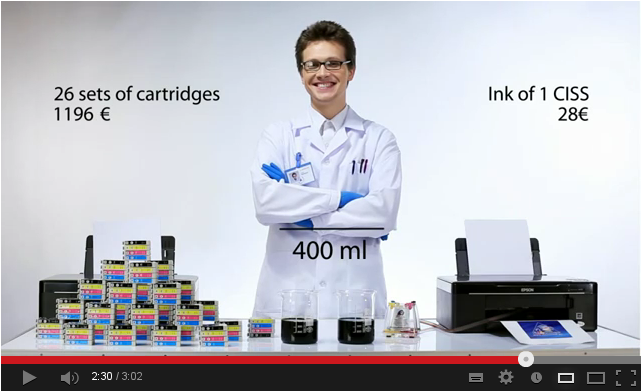 Continuous Ink Supply System is comparable with the most devices and MFPs. It would be better to use CISS for printers with built-in print-head. Nowadays, many manufacturers offer such devices. There are more than 2000 different printing devices, Plotters and MFPs of such great companies as Epson, HP and Canon or Brother. Due to our experience, we can advise you to use Epson printers and MFPs for the installation of Continuous Ink Supply System, because they have a reliable and dependable Epson Micro Piezo print-head as a basis. Why professionals choose INKSYSTEM company? a high level of service and quality warranty. INKSYSTEM is a right choice for home as well as for office. The CISS has such advantages as high quality, cost-effectiveness and reliability. The main merit of our printers is that the they have installed and filled CISS. That is why you don't have to waste your money for purchasing CISS and you will able to reduce expenses on materials and to save you time greatly. You could buy from our company the best Continuous Ink Supply System, and it will provide a high-quality printing and save you money. On our website you would find free ICC-profiles for ink and photo paper (color rendition profiles). We maintain a high reputation and always think about our clients by offering a high qualitative product. We have a quality control system, which is working on the every stage, beginning with production, installation and operation. We have experienced experts, who are carrying out pre-tests of all the devices with CISS or refillable cartridges (RC). By purchasing any printer or other device from our stores, you could appreciate our products quality for yourself. The continuous ink systems have unique design and are the best CISS due to the cost effectiveness and reliability. INKSYSTEM CISS system is transferable and it will not cause any troubles with moving and replacing it. All our products, INKSYSTEM ink including, are made in South Korea. The manufacture uses the latest technologies, which allows you to buy products of a high quality. The INKSYSTEM is among the best companies on the market. Its products correspond with the original consumables up to 97-98%. Its color rendering is on a high professional level. The refillable cartridges are also very good, they are similar to the original ones. CISS refill ink system is simple and reliable. In contradistinction from the genuine cartridges, our ink cartridges have a long durability, due to its built-in chips with automatic renovation. It allows you to refill the cartridge not once, but for several times and you should not spend your money and time by looking for a new cartridge. A lot of devices have a problem of installation and compatibility of printer and CISS, but it doesn't concern our device. CISS INKSYSTEM is able to identify the bulk ink system, it installs correctly and operates without any errors. You could have some compatibility problems with the date of CISS chips' manufacturing and printer's release date misfit. It is eliminated in INKSYSTEM devices due to the tests of compatibility between printer and CISS by our experts before exposing it for sale. INKSYSTEM company is proud of our product and to gain the customers appreciation we pay special attention to the quality. The company has a multilevel quality control and never sells defective CISS with transport flaws or workmanship. We check our product at all stages, starting with CISS production and ending with its operation by customers. If you decide to buy a printer, we will offer you a perfect choice (Printer + CISS). We could offer you some tests of this device with CISS and become sure of its high quality. Among the main CISS targets is to provide the color matching of the printed images and the images on computer screen. By using CISS INKSYSTEM you could get the same color rendering as original materials provide. Our ink has perfect saturation and brightness. It happens very often, that you can buy CISS bulk ink from a third manufacturer and get a bad quality printing after adjustment to your printer. INKSYSTEM company has eliminated this problem it will never happen due to the proper free testing in your presence. You can try different operation modes of the device by using paper, plastic or film. Both for photographers and designers and for people, who just would like to have a "perfect color rendering" we could offer a personal profiling. It compensates distortion caused by light, color paper, ink or the printer itself. You could downloading from our website the universal profiles for consumables - Icc-profiles (color rendering profiles) or you could order it for free. Sometimes it is rather difficult to install CISS. It could require some skills and you could spend o lot of time by trying to adjust it to your device. So, many users are looking for an easy installed system but not for a quality one. The INKSYSTEM company eliminates these problems. You could buy a device with adjusted continuous ink supply system, which was carrying out by professionals. You should not waste your time on installation, you will just enjoy the printing process of a high quality. For users, who care about printing quality and don't want to spend money on short-life cartridges, INKSYSTEM recommends to use continuous ink system on your printing device. Applying to our company, you will get skilled help of professionals. And also you can be sure that the CISS installation on your printer will not cause any troubles to your device, because all the necessary tests of the system were carried out by professionals of our company for free. You will get a proper consultation, our assistants will help you and answer all your questions as for bulk ink system. By ordering CISS INKSYSTEM from us you avoid all the problems and risks of its improper installation. We use polycarbonate for CISS INKSYSTEM production. It is solid and is among the most wear-resistant plastics. Besides, it has a wide temperature range with comparison to other plastics materials. It also is very flexible and has a long life duration. The loops are made of silicone. It is also rather flexible, firm and has a high level of abrasion-resistant. To reach a high level of quality and reliability, we never save money on resources. CISS INKSYSTEM guarantees you a safe operation without any ink flowing and failures. The main aim of our company is to maintain a reasonable ratio of price and quality. That is very important factor for our users. All the time we are trying to get the best results in manufacturing of our product. We always try to follow the highest requirements of the quality We do our best in keeping the quality on a high level and offer our customers a good product for a lower price. Our CISS has a 365 days guarantee. You are getting a warranty card if purchasing a continuous ink system. It could be provided in any office. Our company has a developed network of service centers, where skilful professionals provide you with quality and warranty. We also provides our clients with post-warranty reparation of our products. We give you our discount card with the first purchase, with which you become a member of a discount program. All your further purchases from INKSYSTEM company will be with a minimum of 5% discount. With INKSYSTEM company you can make great savings on buying meanwhile enjoying the highest quality of products. Ink system consists of three parts: cartridges, the same as original ones, ink tanks and tube. The ink from ink tanks supplies into cartridges through the tube. In such a way you need not to buy original cartridges very often and you save your money and your time. INKSYSTEM company manufactures ink system for inkjet printers, which were issued last 10 years, e.g. CISS Brother. When you print with CISS INKSYSTEM you save printing costs up to 30 times on each imprint. Use CISS Epson and also save your money and time on printing. INKSYSTEM continuous ink supply system is very easy to refill: just add required ink quantity into ink tanks. All INKSYSTEM products have 24 months warranty term. Refillable cartridges users are want to save on printing but they print not in huge quantities. Or users does not have free place nearby the printer for CISS placing. One more reason for Refillable Cartridges INKSYSTEM purchasing is they cost less than ink system, e.g. CISS Canon. But if you need to print constantly, it is not so convenient to refill cartridges all the time. Better buy CISS INKSYSTEM, e.g. CISS HP. 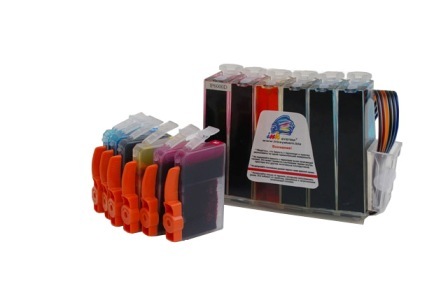 There is always wide assortment of INKSYSTEM CISS and Refillable Cartridges at www.inksystem.com. 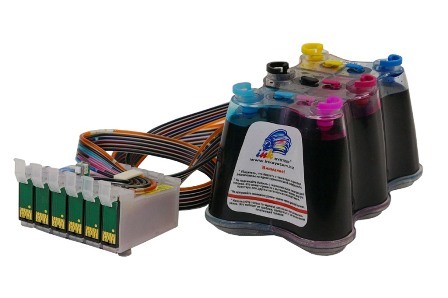 INKSYSTEM inkjet ink for printer are very high-quality. INKSYSTEM ink is manufactured on the modern High-Tech equipment in South Korea. Renovated formula of NKSYSTEM ink for CISS INKSYSTEM provides you with excellent colour rendering of your imprints. Every client can have photo paper and ink profiling done for FREE via mail (remotely) or in any of our representative offices. Our Company provides official one-year warranty for: Epson CISS, Canon CISS, HP CISS, Brother CISS, refillable cartridges for printers and plotters, original ink and photo paper. CISS installation in any of “INKSYSTEM” representative offices is FREE.